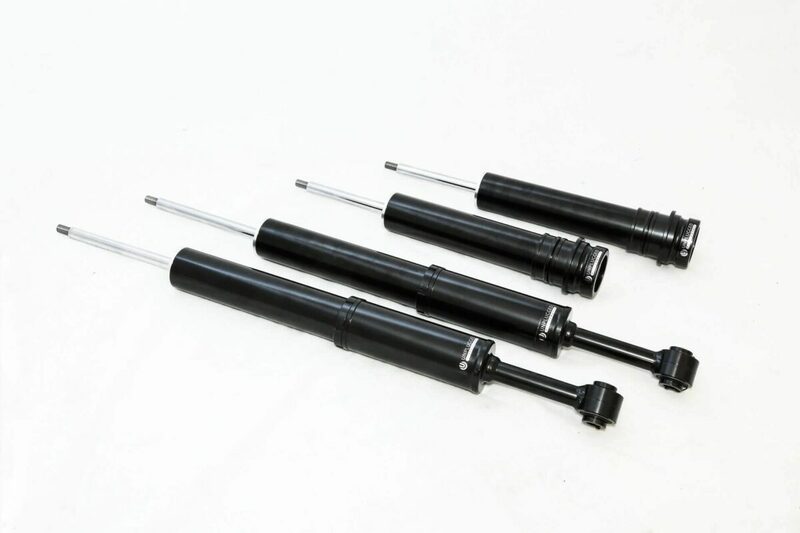 This product is compatible with every version of Model S factory air suspension. It may be used on factory height cars or on cars that have been lowered. For maximum performance, we suggest pairing with Unplugged Performance lowering brackets. We also suggest considering our ultra-light wheel packages and our specials on Michelin Pilot Sport 4S and Michelin Pilot Sport Cup 2 tires.